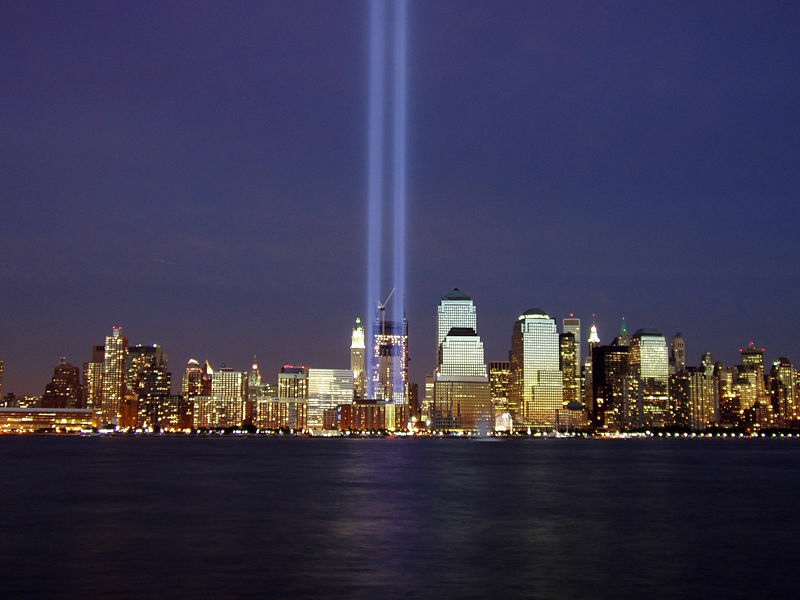 It is hard to believe that ten years have passed since the terrorist attacks on September 11, 2001. We have all heard it said that we never forget where we are or what we were doing when such tragic historical events take place. I was a senior in college at ORU. My friend James called me and told me to turn on the television. I asked him what channel and he said, any. I watched alone in my room as tragedy unfolded live on television. For the first time in my lifetime America was under attack on our own soil, and it was live on TV. It was more horrific than any movie or TV show. I remember weeping a lot. It really affected me. Seeing the World Trade Center towers collapse was almost unbearable. First there was a lot of fear and panic. Later that turned to resolve and a sense of renewed patriotism was birthed in our nation. As I think back on the entire event it almost seems surreal. The other night I watched a news special on Dateline. They replayed highlights of the footage from that day. They highlighted many of the humanitarian stories that took place. They interviewed survivors with firsthand accounts of that sheer terror that unfolded on that day. They were so incredibly thankful to be alive, yet so torn for the colleagues, friends, and family that were lost. Family members, widows, and children also shared the great loss that had taken place that fateful day. Hearing the account from first responders and their incredible heroics was simply breathtaking. As I watched the video and saw the images I instantly felt sick to my stomach. I honestly felt such a wide range of emotions. It is very difficult to put into words. Ten years later I feel an even deeper hurt for those who lost love ones. Now I am married with two beautiful daughters. The thought of losing spouses, parents, and children to such an incredible and deplorable act of selfishness and hate is hard to come to terms with. I honestly think I still have more questions than we have answers for. I have found myself deeply affected by the events that took place so long ago. I appreciate life even more, and I am exceedingly grateful for the time I have here with my family. I know that one day I will share this unfortunate part of our history with my children. I feel a sense of responsibility to make sure they understand the depth of what took place. I know this is a defining moment in my generation. The proof of pure evil within the world we live. There is so much worth living for. I want so much for my girls to grow up in a world absent of this terror. The reality is that it will proceed. Yet our resolve stays firm. We continue forward. Life is worth living, and the fight is worth fighting. Our hearts are with those families who feel a deeper loss than I could ever convey. We truly will never forget.